The City of Angels becomes even more interesting, exotic and captivating when the sun leaves and the moon joins the party, and Bangkok night tours are the best way to experience what we are talking about!  At Apoteka, we recommend you three tours in special that you cannot afford to miss, because they are simply splendid. They will be the perfect addition to your trip. We will give you all the info you need about them, worry not, and of course, let you know why they are the bomb and why you should include them into your planning. You probably know that Thai cuisine is delicious, and therefore, considered as one of the best in the world. Street food in Bangkok has a lot to offer you, and the Chinatown district is where you can get some of the best tastes. Nonetheless, if you have never been here before, it can be confusing as to where to go, because even asking in forum is not very helpful. You need something much better than that. 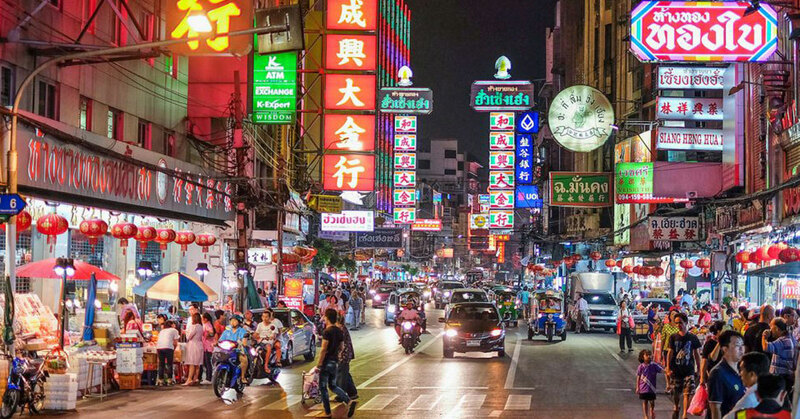 It is always better to listen to locals, and this fantastic Backstreet Flavors of Chinatown tour is all you need to explore the most delicious part of Bangkok nights. You will visit eateries that most visitors have never heard of. In this tour, you will explore locations that the majority of tourists never visit. It will take you to top-secret backstreets, where you can grab the best tastes of the city. Guaranteed. Your taste buds will go on a fantastic journey full of exquisite flavors. The tour has a duration of 3 hours, where you will spend touring this exotic district, grabbing delicious eats and living a really different experience. It will be something totally new for you! The tour includes everything: the guiding + the food. You can join it for only $48 USD per person, which is a real bargain, if you consider how much fun you will have and the priceless memories you will collect. You will explore this district abroad a Tuk Tuk, taste delicious Thai food and learn more about the culture and history of this place thanks to your English-speaking guide. What else could you ask for? We can guarantee you that you will love this experience! 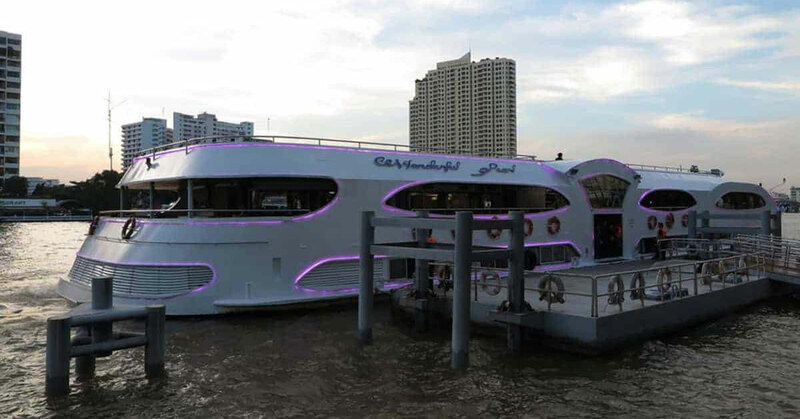 It is always a good idea to join a cruise across the Chao Phraya River during your stay in Bangkok, and especially at night, because it is when it adopts a different, more elegant and romantic vibe. That is why you should join the Grand Pearl Candle tour, which will allow you to sail this beautiful river, enjoy amazing sights and views, and of course, you will be delighted with exquisite Thai and international food. You will be able to see the most important attractions of Bangkok from a different perspective, which will bring you a unique opportunity to take great photos. The buffet will offer you the best of Thai and international food, because it is the perfect way to complement this relaxing and exotic tour. It is the perfect choice if you are visiting Bangkok with your partner, the Chao Phraya is very romantic at night, and sailing it on an elegant and beautiful cruise will make your experience even better. You will also be able to enjoy cultural and musical shows aboard this fantastic cruise. You will see the best Thai classical dances, and the talented band will delight you with excellent music. Overall, it is a tour you cannot afford to miss. We can bet on it that you will love it, and you can join it for only $54 USD per person, which is very low for such a fantastic experience. It includes everything: more than 2 hours navigating the Chao Phraya, the exquisite buffet and the amazing shows and music. As we said, Bangkok transforms at night, becoming a magical, exotic and captivating land. That is why we recommend you to join the Magical Bangkok tour, because it will take you to explore the city, while your photo host captures you in the best moments of this awesome adventure. It is a tour that lasts almost five hours, because there are lots to see in Bangkok when the sun goes to sleep. This tour also includes a visit to the Chinatown district, and of course, you will also have the chance to taste delicious street good meals, but we have already suggested a tour that focuses exclusively on it. So, how is this tour any different? Because it goes way beyond Chinatown, taking you to explore many other hidden attractions in Bangkok, which most tourists never get to see. You will explore Bangkok as a whole, experiencing how different it is at night. Another big difference is that you will have a photo host taking care of taking the best photographs, so you can enjoy the tour at its fullest. You can join it for $140 USD per person, which is more expensive than the other tours we suggested, but it includes exclusive features like a professional photographer (it even includes photo editing), and it lasts much more. It is the perfect tour for groups, because in only one night you will get to discover a lot about Bangkok. 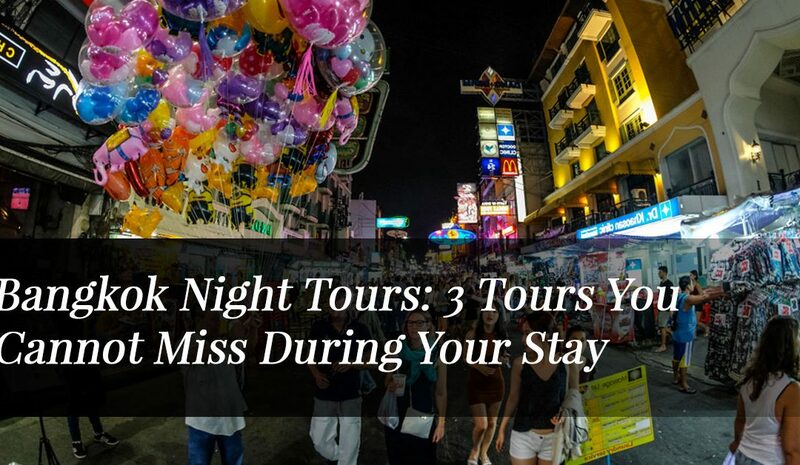 Here you have it, three fantastic night tours you can join during your stay in Bangkok, which will offer you unique and precious experiences and memories. You cannot afford to miss them! If you have any question, just drop a comment below and we will get you ASAP!